Angular or Backbone - which one you will use in your app development? How could you develop a mobile app across iOS, Android or windows devices? This webcast talk will take an intimate look at two of today's most popular frameworks, Angular and Backbone and explore their differences, strength and weakness. We will demonstrate a "To Do" app using Angular and Backbone with access to native device capabilities. We'll compare the frameworks when transported to the world of mobile app development. 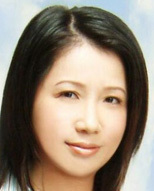 Doris received her Ph.D. from the University of California at Los Angeles (UCLA) in computer engineering, specializing in medical informatics.